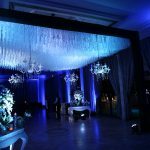 Evolve Weddings Delivers 3-Day Big Fat Wedding At Hyatt Regency, Nepal! 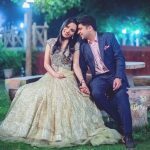 This dream wedding was managed and executed earlier this year in Kathmandu, Nepal by Delhi based agency, Evolve Weddings. 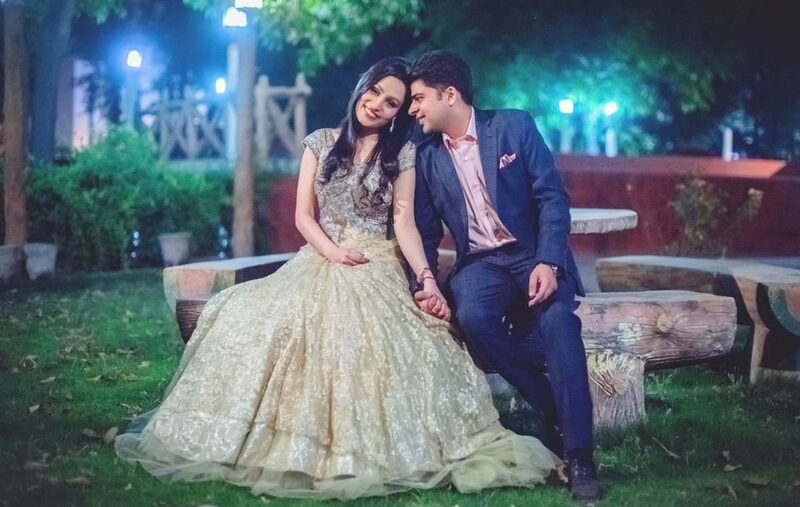 Varun Dua, Director, Evolve Weddings explains, “Akshay, (groom’s brother) happened to visit Kathmandu for a business trip and from there he sent us photographs of Hyatt Regency. 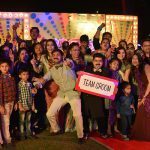 Both the families fell in love with the venue. And the rest as they is history! 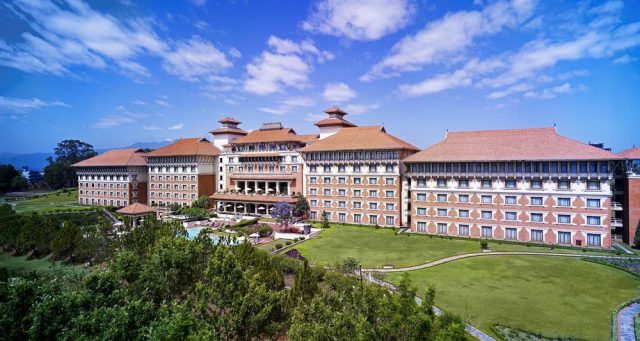 Hyatt Regency Kathmandu is a 5-star luxury hotel and resort set on 37 acres of landscaped grounds, created in the traditional Newari style of Nepalese architecture. This beautiful property is located on the road to the Boudhanath Stupa: the most holy of all Tibetan Buddhist shrines outside of Tibet, and a UNESCO World Heritage Site which is 5 minutes walk from the hotel. 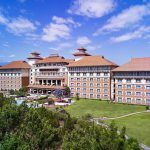 The hotel is just 4 km (2.4 miles) from the Tribhuvan International Airport and 6 km (3.7 miles) from the city center of Kathmandu. 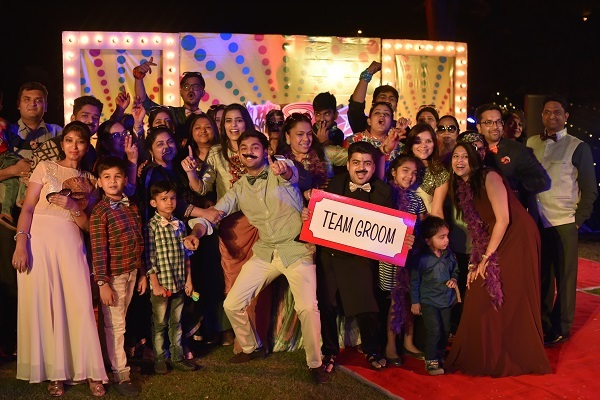 The wedding extravaganza of Sakshi and Deepak(bride and groom) was coined #D&SFUNTOWN. 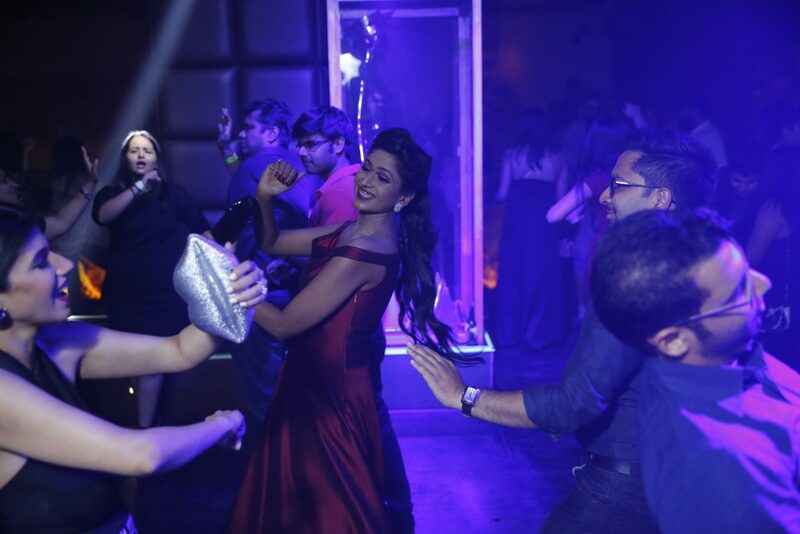 The first celebration was the Youngster’s Night hosted at Kitty Su, The Lalit, New Delhi. 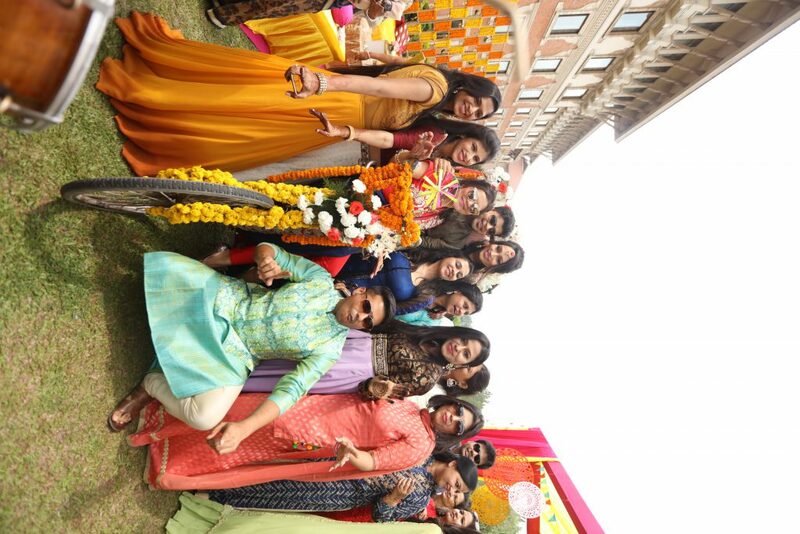 Following, friends and family of the couple landed in Kathmandu 2 days prior to the wedding. 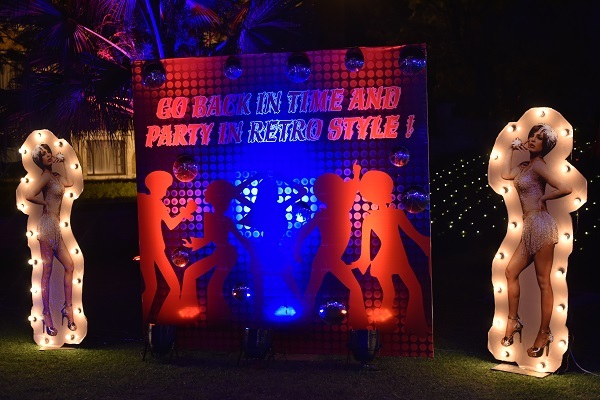 The Retro Night was only hosted for immediate family members, however, it was one of the most enjoyed celebrations. 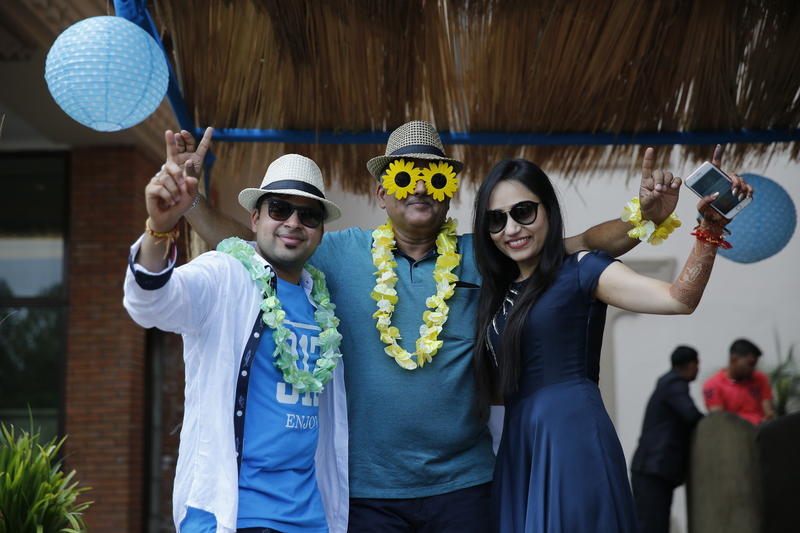 The guests thoroughly enjoyed the family’s award ceremony that included awards like the best chacha, the best masi etc! 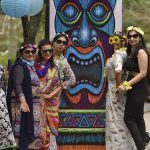 While props like mustaches, bow ties etc definitely added to the 80’s look and feel. 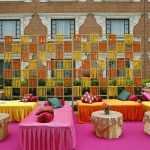 Bright and colourful shades of Lemon yellow, Rani pink, Parrot green, and Orange dominated this typical Indian Mehendi celebration. 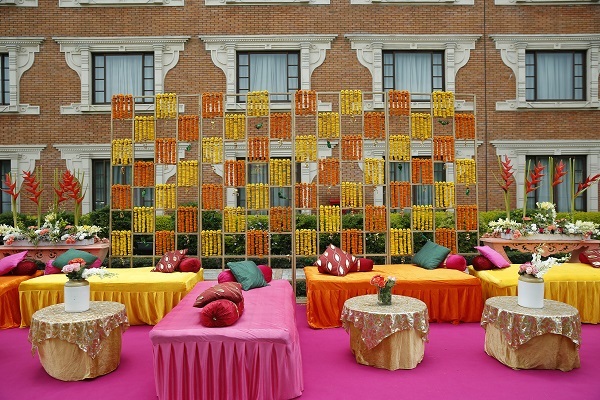 Props like gota and marigold hoops, colourful bangles and decorative hangings gave the perfect finishing touch to the decor. The special attractions remained the “wish by the thumb tree” and the placards with unique quotes. 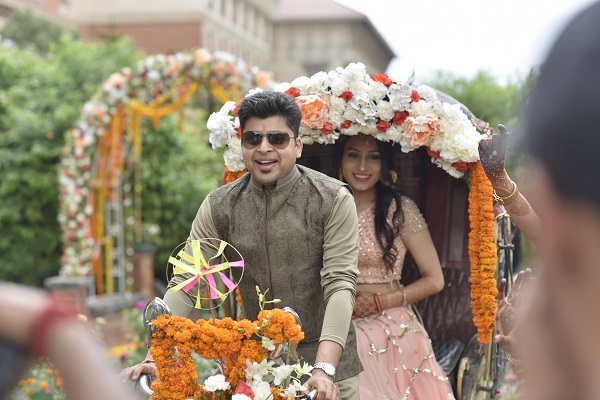 For the entry, the groom, Deepak entered riding a rickshaw and the bride, Sakshi was sitting behind him. 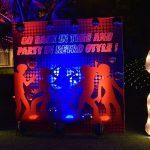 The décor at the Sangeet showcased sparkling LEDs and a gorgeous mirchi light effect, while the special attraction of the night- the molecular bar that was arranged by the ‘Indo Fusion Cocktail Services’ and was a super hit! 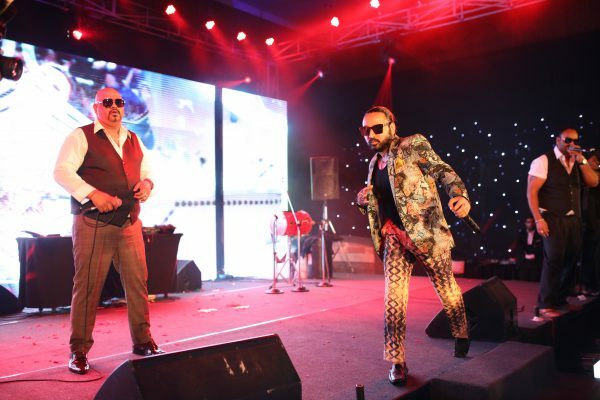 For Entertainment, Delhi-base band-The Funky Boyz band ensured that the party ended in the wee hours of the morning. 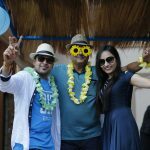 Guests were still hungover from the Sangeet and then the Hawaiian party added more to their delirium! 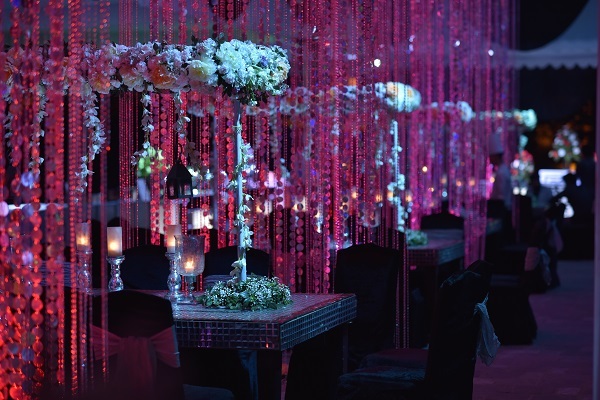 The simple but classy Hawaiian décor was presented to the guests. 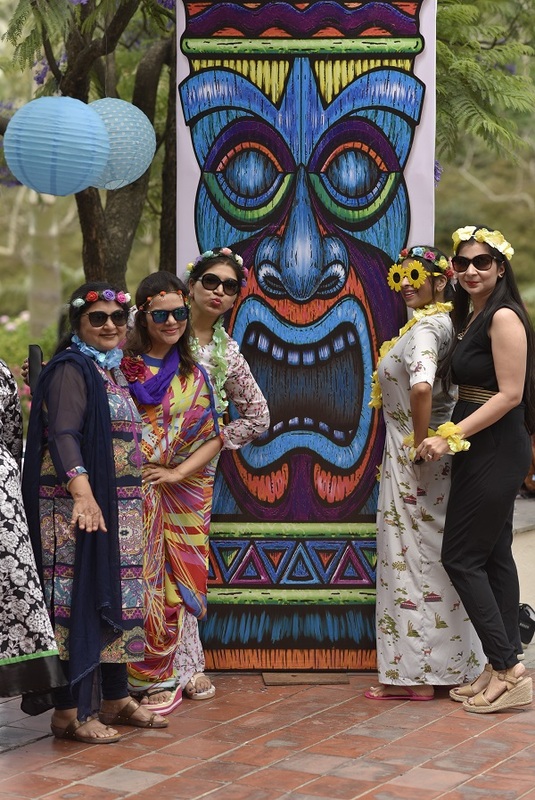 To add to the Hawaiian effect, thematic props like fancy sunglasses, feather stoles and colorful garlands were strewn. 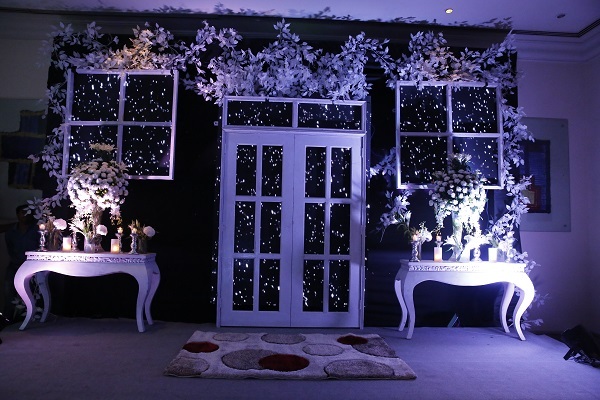 And, for the surprise, foam and rain dance arrangements were also made by Evolve Weddings. 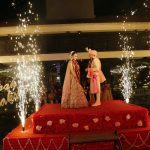 A Wed-In Red Themed Wedding With Nepali Elements! 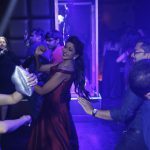 The wedding night was themed ‘wed-in-red’ and the décor displayed the elegant Red color everywhere that one’s eyes could reach. 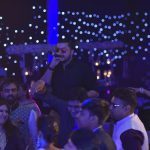 The groom made his entry in royal Nepali stlye on a royal Nepali baggi! 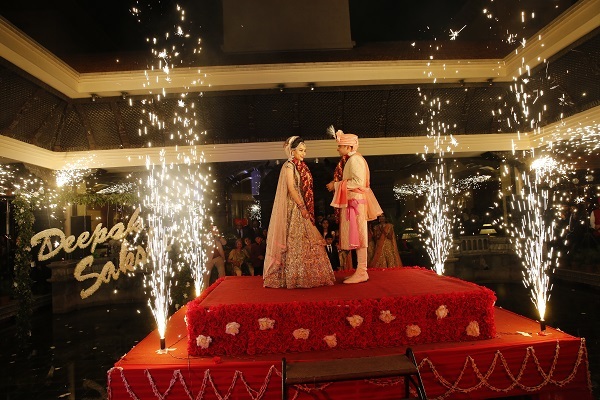 Following, the Varmaala took place on the main porch of the Grand Hyatt near the beautiful water body, with cold pyrotechnics adding to the glamorous evening. 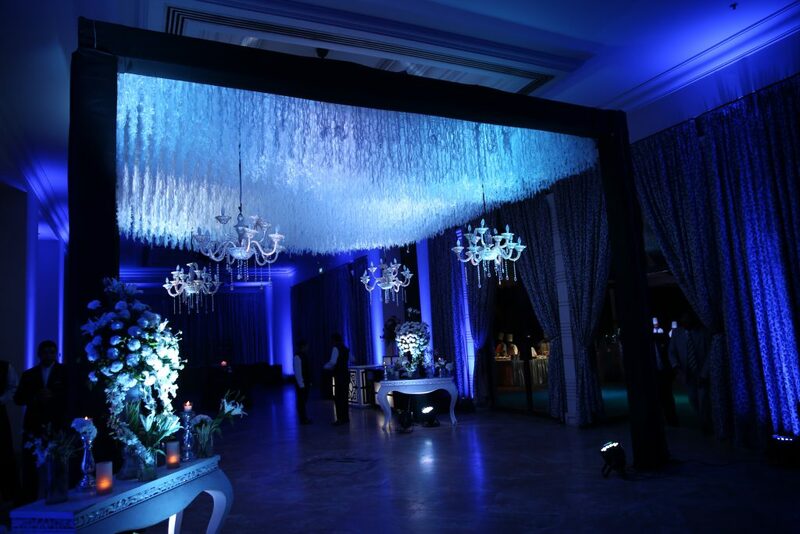 The rest of the rituals were done in the ballroom of the hotel. 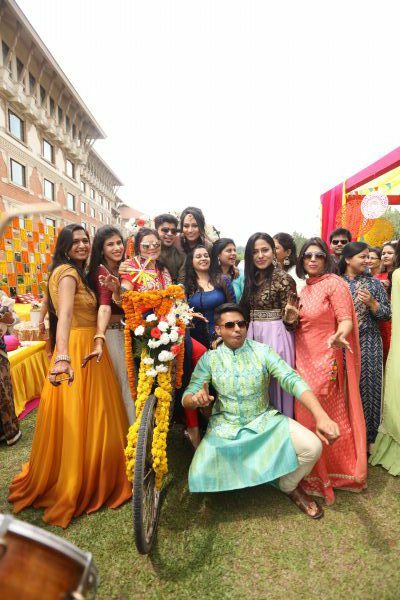 For the F&B, nepali chaats and sweets were arranged in addition to the lovely sit-down dinner. A local Nepali band was also roped in for entertainment at this event. 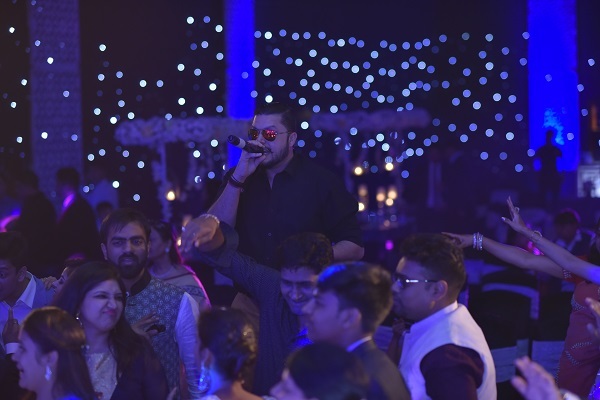 Interestingly, everyone expected them to sing Nepali songs but the band kept the guests engaged thoroughly with popular Bollywood numbers. 2018 All Rights Reserved. Developed byECIINFO.